1:00, CBS. Arkansas vs. Florida, SEC Championship. 1:00, ESPN. North Carolina vs. NC State, ACC Championship. 2:00, ESPN2. Texas A&M-Corpus Christi vs. Northwestern State, Southland Championship. 3:00, ESPN. Kansas vs. Texas, Big 12 Championship. 3:30, CBS. Ohio State vs. Wisconsin, Big Ten Championship. 12:00, Fox Soccer. FA Cup. Blackburn Rovers vs. Manchester City. 12:30, NBC. NHL Hockey. Regional Coverage. 2:00, Fox Soccer. 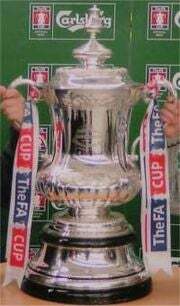 FA Cup. Plymouth Argyle vs. Watford. 3:00, CSTV. College Hockey. CHA Tournament, Final. 3:00, NBC. PGA Golf. PODS Championship, Final Round. 3:30, ABC. NBA Basketball. Denver Nuggets @ Sacramento Kings. 4:00, FOX. NASCAR. Nextel Cup, UAW-DaimlerChrysler 400. 6:00, CBS. NCAA Basketball Championship Selection Show.